Learn how video conferencing can transform communications and collaboration in your business. Visit Image Supply Systems at Stand 5 in the CIO & IT Leaders Summit in Croke Park Conference Centre on Wednesday 12th September. 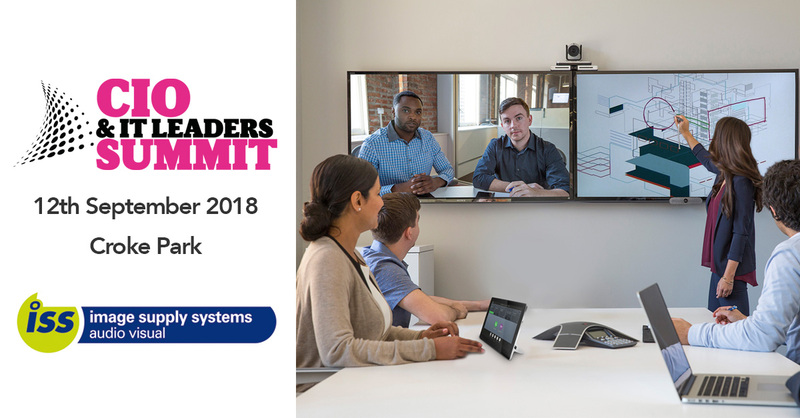 www.ciosummit.ie We will showcase the latest video conferencing solutions from Polycom in addition to professional presentation systems. Building on the success of previous events, the 2018 summit will explore how these upcoming digital trends are driving business and government to continue to transform how they do business.